Our faculty in the Clinical Pharmacy have a wide range of research interests and are experts in their areas of specialization. We are one of the leading universities in these fields. The Internal Medicine clinicians provide primary care for adult patients. This care occurs at the tertiary care faculty, University of Michigan Health Systems and at satellite clinics throughout Washtenaw County. Inpatient and outpatient services range from simple and uncomplicated treatment of individuals with a single disease or condition to individuals with complex and interrelated conditions, medication-resistant infections, and unusual family and social situations. The full spectrum of training opportunities for pharmacy students and residents occurs virtually every month. Clinical rotations in general medicine expose students to both the great challenges and the greater opportunities in the practice of adult internal medicine. Dr. Erickson's research focuses on assessment of the influence of pharmacotherapy on health related quality of life; use of health-related quality of life data for patient-specific pharmacotherapy; and assessment of methods to improve medication management. Dr. Regal's research focuses on antimicrobial resistance patterns. Ambulatory care clinical pharmacists are dedicated to improving patient care in a variety of ambulatory practice settings. Today, our clinical pharmacy services are offered to patients in the following primary care and specialty clinics: adult internal medicine, family practice, pediatric pulmonology, geriatrics, cardiology and dialysis. In addition, consultative services are provided for patients with diabetes and hyperlipidemia. Our aims are to enhance safety and optimize outcomes of drug therapy for our patients. Dr. Choe's research focuses on disease management in diabetes, hypertension, and hyperlipidemia and its impact on patient outcomes; pharmacoeconomic impact of clinical pharmacist interventions; expansion of clinical pharmacist role in ambulatory care clinics. Dr. Coe’s research focuses on medication-related problems in transitions of care and clinical pharmacist interventions, medication use in low income older adults, and expansion of clinical pharmacist roles in ambulatory care clinics. Dr. Mason's research focuses on pharmacokinetics of drugs in chronic kidney disease (CKD), identification of drug-related problems in CKD, treatment of complications associated with CKD, and implementation of treatment protocols in the dialysis unit. Dr. Remington's research focuses on medication use in older adults, new roles for pharmacists in ambulatory care, and developing innovative learning experiences for pharmacy students. Dr. Rockafellow's research focuses on drug therapy and outcomes in the geriatric and ambulatory care settings. Dr. Shimp's research focuses on drug therapy for the elderly, including geriatric assessment, rational drug prescribing/therapy including the influence of pharmacist consultation on prescribing, drug therapy for menopause: hormone replacement therapy in a family practice setting. The Cardiology pharmacy faculty within the Department of Clinical Sciences provide pharmaceutical care and research support to patients, health care providers, and investigators. Clinicians in cardiology continually advance knowledge in the prevention, diagnosis, investigation, and management of cardiovascular disease, and the delivery of health care to patients with such diseases. They seek to improve the provision of health care through research that establishes the most safe, effective, and cost-effective delivery of medications. Results of clinical research are used as the basis for changes in treatment practices that improve patient care and outcome. Dr. Dorsch's research includes utilizing information technology to improve the health of patients with cardiovascular disease. Dr. Luzum’s research focuses on the discovery and validation of genetic predictors of pharmacokinetics, efficacy, and/or toxicity of cardiovascular disease treatment and translation of these findings into clinical practice to optimize outcomes through individualized therapy. Dr. Alaniz's research focuses on drug use evaluations and pharmacoeconomic studies pertaining to stated research interests; evaluation of levofloxacin use in the management of nosocomial pneumonia; and evaluation of piperacillin-tazobactam dosing regimens in the management of nosocomial pneumonia. Dr. M. Kraft's research interests include parenteral and enteral nutrition (appropriateness, safety, outcomes, drug-nutrient interactions, immune-enhancing nutrition); drug and parenteral nutrition use in continuous renal replacement therapy (CRRT); fluid and electrolyte disorders; acid-base disorders; antimicrobial agents (appropriateness, surgical prophylaxis, routes of administration, dosing and pharmacokinetics, monitoring, tissue penetration and distribution, resistance, drug interactions, outcomes); nosocomial infections (treatment and prevention); ventilator-associated pneumonia (treatment and prevention); shock states; stress-related mucosal damage; anemia in critical illness; ICU sedation and analgesia; post-operative antiemetic therapy; and medication safety. Dr. Mehta's research focuses on evaluation of treatment and outcomes in pediatric and neonatal critical care areas, developmental pharmacology, pediatric pharmacokinetics/pharmacodynamics and pediatric drug development including pediatric clinical trial design and execution. Dr. Mehta’s research also includes evaluation of new drug delivery systems and development of pediatric formulations suitable for neonates, infants and children. Dr. Mueller's research group focuses on new renal replacement therapies and their clinical consequences. These include concerns about Continuous Renal Replacement Therapy (CRRT) anticoagulation, pharmacotherapy, dialysis adequacy and innovative RRT techniques. His lab contains in vitro hemodialysis and CRRT models which he uses for initial testing. He also conducts studies in adults and children at the University of Michigan Health System. Dr. Mueller also precepts a Nephrology and Critical Care Pharmacy Research Fellowship. Dr. Wagner's research focuses on chemical compatibility of IV medications used in an OR setting; standardization of discharge orders from PACU; pediatric pain management; epidural analgesia in labor; treatment of PONV in the pediatric population; potentiation of analgesia with acetaminophen, dose response of COX II inhibitors in pediatrics; compatibility of Alprostadil infusions; ODT Ondansetron for PONV; potency and sterility of epinephrine and dopamine infusions; effect of acetaminophen on PCA morphine requirements; and comparison of opioid consumption with 2 concentrations of epidural solutions. 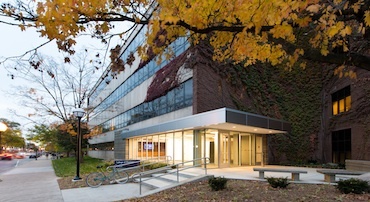 The Drug Information Service (DIS) provides pharmaceutical, pharmacological, and therapeutic information to the University of Michigan Health System and to health practitioners in the local area. Rapid, clinically applicable information is available to requesters by telephone Monday through Friday, from 8:30 a.m. to 4:30 p.m. DIS is located at: Michigan House Drug Information Service, Room 2202 2301 Commonweaolth Blvd. Ann Arbor, MI 48105-2967 phone: 734-936-8200 fax: 734-232-2410 Outside of normal operating hours, calls may be placed to the 6th floor Inpatient Pharmacy. Requests not of an urgent nature may be left on the Drug Information Service voice mail system or sent by email (type Drug Information Service at the Groupwise address prompt) for response during normal business hours. Other responsibilities of the Drug Information Service include participation and support of the functions of the UMHS Pharmacy and Therapeutics Committee, the Ambulatory Formulary Committee, the Cancer Pharmacy Committee, the Drug Utilization Evaluation Committee, and the Product and Vendor Selection Committee. Staff are kept informed of Pharmacy and Therapeutics Committee decisions and new information regarding medications by means of a monthly newsletter. Dr. Stumpf's research focuses on hypertension, drug information practice, anemia, cirrhotic ascites, drug use evaluation, quality improvement, and parenteral iron therapy. Dr. Sweet's research focuses on drug information practice, Pharmacy and Therapeutics activities, drug use evaluations, alternative supplements, and health-system pharmacy administration. The gastroenterology clinical faculty within the Department of Clinical Sciences provide pharmaceutical care and research support to patients, health care providers, and investigators. These researchers seek to improve the provision of health care through research that establishes the most safe, effective, and cost-effective delivery of medications. Results of clinical research are used as the basis for changes in treatment practices that improve patient care and outcome. Our clinicians disseminate their findings to other health care personnel across the country by presenting at highly respected national conferences and publishing in national/international journals. These clinicians perform studies, using medications of the gastrointestinal tract and liver in a variety of important human diseases. Common diseases of the gut and liver include peptic ulcers, gastroesophageal reflux disease, stress related mucosal damage, gastrointestinal bleeding, inflammatory bowel disease (Crohn's disease and ulcerative colitis), colon cancer, irritable bowel syndrome, short bowel syndrome, hepatitis, and cirrhosis. Dr. Alaniz's research focuses on the impact of pharmacotherapy on clinical outcomes in the critically ill. Areas of interest include liver failure, infectious diseases, and pharmacoeconomics. Dr. Park’s research includes acute kidney injury and chronic kidney disease following liver transplantation. Dr. Regal's research includes dosing/PKIN of antibiotics and other drugs in cirrhotics, proton pump inhibitors, and general cirrhosis research. Dr. Stumpf works with Dr. Alaniz, investigating acetaminophen's role in liver disease. Current investigations focus on pathogens for leading infectious causes of death. Studies of respiratory pathogens include investigations in the following areas: molecular pathogenesis of invasion and inflammation induced by pneumococcus, mediators of streptococcal septic shock, activation and deactivation of macrophages in disease, antibiotic resistance and tolerance mechanisms in pneumococcus, novel antipneumococcal intervations, synergistic interactions between pneumococcus and influenza, and new therapeutic strategies for treatment of influenza infections in immunocompromised hosts. Dr. Carver's (home) research focuses on antimicrobial drug absorption, and antifungal pharmacotherapy; the pharmacokinetic/pharmacodynamic effects of drugs used in the treatment of patients with gastrointestinal/hepatic disease; effects of gastrointestinal pH and motility on drug absorption; drug-drug interactions involving drugs used to treat gastrointestinal/hepatic disease; cost/efficacy of drug use evaluation of gastrointestinal drug therapy. Dr. Eschenauer's research focuses on antifungal pharmacotherapy, antimircrobial stewardship and antibiotic resistance. Dr. Klein's research focus is pharmacotherapy and nutrition in pediatric patients; palatability of oral medications for pediatric patients; and pharmacokinetics and pharmacodynamics of antimicrobial agents in pediatric patients. Dr. Amy Pai’s research interests relate to the effects of iron on Gram-positive organism infection and the impact of dialysis catheter-microbiota on inflammation. Dr. Amit Pai’s research focus includes discovery and validation of alternate drug dosing algorithms in special populations through pharmacokinetics/pharmacodynamics (PK/PD) systems analyses. Dr. Pai’s therapeutic focus is on antimicrobial agents and chemotherapy. His research expertise includes the PK/PD of antimicrobials in obesity with an interest in understanding the dynamic effects of infection, body size and composition on drug disposition. The long-term clinical translational goal of his work includes identification of safe and effective monotherapy and combination dosing regimens that reduce the probability for emergence of antimicrobial resistance. Health care professionals must comply with federal and state regulations and University of Michigan policies and procedures when conducting research with investigational drugs. The use of these drugs in research includes requirements for labeling, storage, dispensing, inventory maintenance, and substance disposal. Clinical Pharmacists promote the safe and proper handling of drugs used in clinical research, provide drug information regarding investigational drugs, reinforce the protections afforded human subjects who are administered drugs under research protocols, help detect and prevent diversion of drugs for unauthorized purposes, and assure compliance with applicable laws and internal requirements related to the use of investigational drugs for research purposes. Investigators conducting clinical drug trials must contact the IDS clinical pharmacists to discuss coordination of the study. Dr. Redic's research focuses on patient motivators in clinical trials; ethics in Phase I trials and innovative practices in Investigational Drug Services. Dr. Coe is interested in improving medication-related outcomes for patients and examining reasons for medication non-adherence, particularly in vulnerable populations. Past work includes identification of reasons for medication nonadherence, including the sociodemographic, health-related factors, and behavioral health conditions associated with medication nonadherence, in behavioral health patients served by a Health Care for the Homeless center. Dr. Erickson is interested in improving the appropriate use of medications by patients. This includes finding better ways to measure adherent behavior, determining the reasons for nonadherence, and developing strategies to help people identify barriers to taking their medication and ways to maintain acceptable medication taking behavior. Dr. Farris studies medication adherence, reasons for non-adherence including concern and necessity beliefs and self-reporting adverse effects. She is leading a study to develop and quantify the impact of an artificial-intelligence based text-messaging system to improve medication adherence among individuals with uncontrolled hypertension. As well, she is working on two projects focused on understanding and affecting medication adherence to oral oncolytics. Her studies have used survey research, prospective cohort designs as well as controlled trials. The Nephrology faculty within the Department of Clinical Sciences provide pharmaceutical care and research support to patients, health care providers, and investigators. These researchers seek to improve the provision of health care through research that establishes the most safe, effective, and cost-effective delivery of medications. Results of clinical research are used as the basis for changes in treatment practices that improve patient care and outcome. Our clinicians disseminate their findings to other health care personnel across the country by presenting at highly respected national conferences and publishing in national/international journals. Dr. Mueller's research group focuses on new renal replacement therapies and their clinical consequences. These include concerns about CRRT anticoagulation, pharmacotherapy, dialysis adequacy and innovative RRT techniques. His lab contains in vitro hemodialysis and CRRT models which he uses to support a Critical Care/Nephrology Fellowship. Dr. Pai’s research focuses on oxidative stress and inflammation in chronic kidney disease (CKD) patients. Her laboratory conducts in vitro and in vivo investigations of the effects intravenous iron nanoparticle formulations, vitamin D and other medications on cytokine activation, reactive oxygen species formation and lipid peroxidation to better understand the potential effects of the agents on vascular disease in patients with kidney disease. Dr. Pai also has expertise in bioequivalence evaluation of generic intravenous iron formulations. Clinical faculty within the Department of Clinical Sciences conduct research for new treatments and prevention methods to find out if they are safe, effective, and better than the current standard of care (the best known treatment). These methods can include new drugs, new combinations of existing therapies, new approaches to radiation therapy or surgery, new methods of treatment (e.g., targeted therapies or gene therapy), and new prevention methods. Clinical trials are the best available treatment option for many people with cancer, and typically provide the highest-quality care. Dr. Christen's research focuses on research activity upon the molecular biology of gynecologic neoplasms, specifically ovarian, and to a lesser extent, endometrial and cervical cancers; compatibility of medications used in combination for epidural administration; and pain management. Dr. Frame's research focuses on Hematology, Oncology, Bone Marrow Transplants, Fungal Infections and Graft vs Host Disease. Dr. Hertz’s research focuses on the discovery of genetic and clinical predictors of cancer treatment efficacy and toxicity and translation of these findings into clinical practice to optimize outcomes through individualized therapy. Dr. S. Kraft's research focuses on supportive care and symptom management for cancer patients, and the use of medical marijuana, oral chemotherapy, and antidepressants in cancer patients. Outcomes research seeks to understand the end results of particular health care practices and interventions. End results include effects that people experience and care about, such as change in the ability to function. In particular, for individuals with chronic conditions where cure is not always possible, some end results include quality of life as well as mortality. By linking the care people get to the outcomes they experience, outcomes research has become the key to developing better ways to monitor and improve the quality of care. Dr. Coe’s research focuses on pharmacists’ role in improving medication-related outcomes, examining the impact of pharmacists on health outcomes and costs in innovative patient care models, and identifying strategies to improve transitions of care and decrease non-urgent, frequent use of emergency department services. Dr. Dorsch's outcomes research focuses on cardiovascular disease. Dr. Farris' research focuses on applying social theories to analyses of how individuals manage their medications during chronic illness, as well as the roles of phrmacists in influencing medication use (including medication adherence and public health issues). Dr. Stevenson's research focuses on health-system pharmacy administration, pharmacoeconomics, and outcomes research. Nearly 80% of medications marked in the United States today do not carry recommendations for use in children. This lack of pediatric labeling has resulted in our children being described as "therapeutic orphans". Through collaborative and independent research efforts, our clinicians are able to contribute scientifically in the areas of neonatology, pediatric oncology, asthma, otitis media among other childhood diseases. Dr. Klein's expertise lies in the area of pediatric infectious diseases. She is especially interested in the treatment and adherence strategies for pediatric HIV infection. Dr. Klein also has interests in the area of pharmacotherapy, nutrition, pain control, and pharmacokinetics and pharmacodynamics of antimicrobial agents in pediatric patients. Dr. Mehta's research focuses on pediatric critical care, neonatal critical care, developmental pharmacology, pediatric pharmacokinetics/pharmacodynamics. Dr. Wagner's research focuses on chemical compatibility of IV medications used in an Operating Room setting; standardization of discharge orders from Pediatric Acute Care Unit; pediatric pain management; epidural analgesia in labor; treatment of PONV in the pediatric population; potentiation of analgesia with acetaminophen, dose response of COX II inhibitors in pediatrics; compatibility of Alprostadil infusions; ODT Ondansetron for PONV; potency and sterility of epinephrine and dopamine infusions; effect of acetaminophen on PCA morphine requirements; and comparison of Opioid consumption with 2 concentrations of epidural solutions. Over the past thirty years, clinicians have become very familiar with the science of pharmacokinetics as tools to describe how drugs behave in the human host. However, pharmacokinetics does not promote an understanding as to the drug's desired or undesired pharmacologic effect. Overall, the antibiotic prescribing process has been extremely subjective and has promoted a naïve understanding of how to optimize antibiotic performance. Pharmacodynamics expands our understanding of the interaction between bacteria and antibiotics. Over the last ten years, investigators have been able to identify possible pharmacodynamic outcome predictors and assign quantitative values that predict success or failure of antibiotic regimens. In addition, pharmacodynamics offers a way to expedite the antibiotic development process and provides an additional dimension to distinguish various members of a particular antibiotic class. Dr. Hertz’s research focuses on the discovery of patient-specific (genetic and clinical) factors that influence pharmacokinetics and pharmacodynamics of cancer treatment and translation of these findings into clinical practice to optimize outcomes through individualized therapy. Dr. Mehta’s primary research focus is on pediatric and neonatal pharmacokinetics/pharmacodynamics and outcomes research. Dr. Park's practice and research focuses on pharmacotherapy in patients undergoing solid organ transplantation. Areas of interest include pharmacokinetics and pharmacodynamics of immunosuppressive agents, alterations in pharmacokinetics post-transplantation, and post-transplantation complications such as diabetes and acute/chronic renal failure. Dr. Pai’s research focus includes discovery and validation of alternate drug dosing algorithms in special populations through pharmacokinetics/pharmacodynamics (PK/PD) systems analyses. Dr. Pai’s therapeutic focus is on antimicrobial agents and chemotherapy. His research expertise includes the PK/PD of antimicrobials in obesity with an interest in understanding the dynamic effects of infection, body size and composition on drug disposition. The long-term clinical translational goal of his work includes identification of safe and effective monotherapy and combination dosing regimens that reduce the probability for emergence of antimicrobial resistance. Dr. Zhu is interested in studying the effect of genetic polymorphisms on the expression and activity or drug metabolizing enzymes and drug transporters, and its consequent impact on pharmacokinetics and pharmacodynamics of various therapeutic agents. Dr. Ellingrod's research includes comparing gene and protein expression according to response vs. non-response and/or toxicity, characterizing phenotype-genotype correlation, comparing pharmacokinetic parameters according to genotype, and genotype or phenotype-specific dosing. Dr. Hertz’s research focuses on the discovery and validation of genetic predictors of pharmacokinetics, efficacy, and/or toxicity of cancer treatment and translation of these findings into clinical practice to optimize outcomes through individualized therapy. Dr. Kelling’s research focuses on the use of simulation, including virtual approaches, in the classroom in order better simulate contemporary practice and promote student learning. Dr. Clark's research interests include pharmacy residency training, pharmacy practice models, Joint Commission readiness, patient safety, and use of technology to improve patient care. Dr. Stevenson's research focuses on health-system pharmacy administration, pharmacoeconomics and outcomes research, and medication safety. He also does work related to the use of informatics and automation to improve the quality, safety, and efficiency of care. Dr. Walker's research focuses on pediatric pharmacotherapy, pain management, health-related quality of life in children with chronic diseases, and drug use evaluation. Dr. Guthrie's research interests focus on pharmacokinetics and pharmacodynamics of drugs in psychiatric patients, and drug interactions with alcohol or alcohol withdrawal. Dr. Bostwick's research focuses on metabolic complications associated with second generation antipsychotic medications and the impact of pharmacy services in ambulatory psychiatry. Dr Ellingrod's research focuses on Pharmacogenomics, particularly in the mentally ill. For more information, visit the Pharmacogeonomics Laboratory site, which she leads. Dr. Kelling’s research focuses on accessibility of non-dispensing services in the outpatient setting. She is primarily focused on preventive services, such as immunizations. Dr. Pai is focused on reducing preventable harm from nephrotoxic medications. Reduced kidney function affects the safety profile of countless medications. Many adverse drug events caused by medications that are not used correctly in chronic kidney disease can be avoided. One significant example of this is the avoidance of non-steroidal anti-inflammatory drugs (NSAIDs) in patients at high risk for community-acquired acute kidney injury. Dr. Pai’s research studies pragmatic ways to improve education of providers and patients to reduce NSAID use in high risk patients. Dr. Stringer's research focuses on pulmonary delivery or therapeutic proteins, pathogenesis of inflammatory-fibrin lung disease, and mechanisms and disposition of therapeutic proteins in inflammatory lung disease.